It is hard to raise awareness for many mobile application developers to let them learn security. 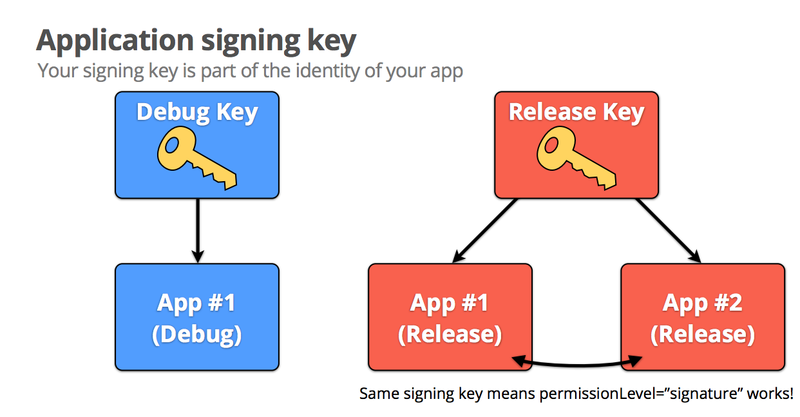 In this blog, I will share with you some dumb developers who included the private key signing published applications in the application itself which mean anyone can act as him/her to release a newer version without being detected. Maintaining the security of your private key is of critical importance, both to you and to the user. If you allow someone to use your key, or if you leave your keystore and passwords in an unsecured location such that a third-party could find and use them, your authoring identity and the trust of the user are compromised. Here you are the dumb application wall, please make sure your application name is not on the list. For enterprise users including MDM/MAM vendors, I suggest you to add all of them to the suspicious list because their private key has been leaked out and their is no way to detect the original application and hacked patched and wrapper one. If you are an application market vendor, please add those private key signed application to your blacklist. There is no way you can prove the application is from the original developer, not from another hacker.